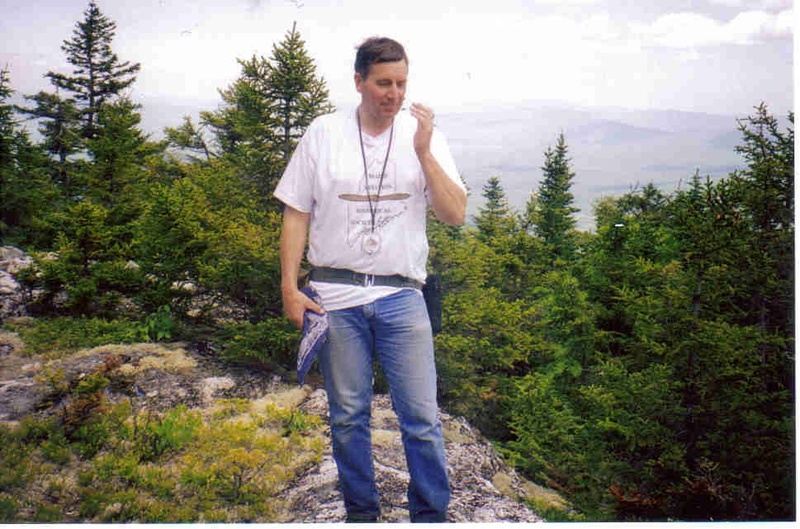 Jim Chichetto left us unexpectedly in 2003. Maine lost a great wreckchaser, historian, author, and advocate for motorcycle safety/bikers' rights. The Maine Aviation Historical Society lost a President, leader, and a key driving force behind bringing the Maine Air Museum from a dream to reality. I lost a good friend, co-author, hiking buddy, and frankly someone who always kept me motivated to press on hard with this hobby. I have spent the past several months merging my files with Jim's and hope to complete our book "The price of Our Freedom- Military Aircraft Accidents in Maine During the Cold War Era" in the next year or two. 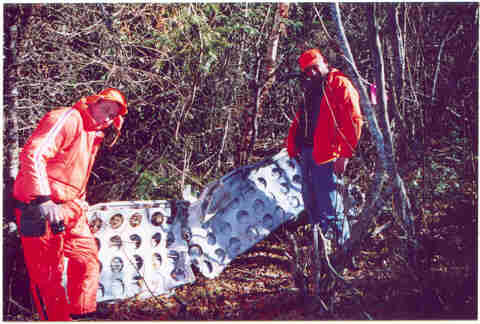 Jim (left) and a former coworker at the site of the Perham B-25 crash in November 2001. This was our last "successful" hike. We went on an unsuccessful search for the Eagle Mountain F-101B the following spring. We actually drove through the crash site and looked in the wrong place! Happier times! 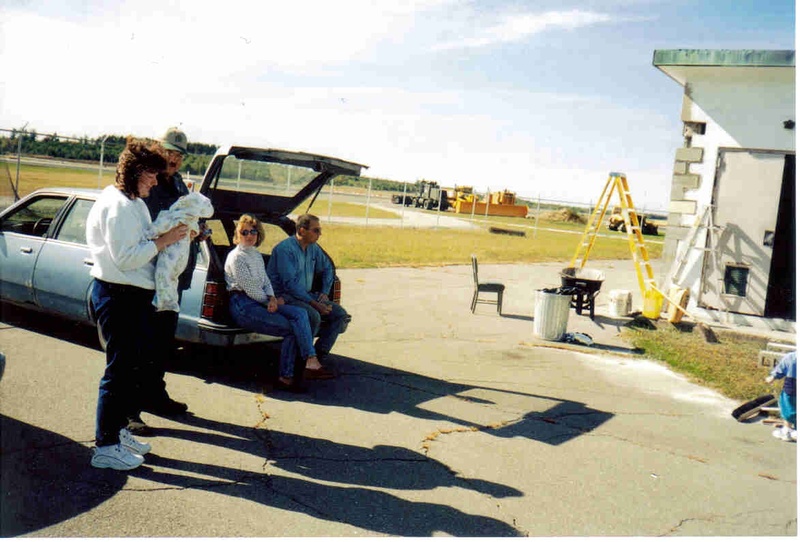 Jim and I taking a break from a masonry repair project at the Maine Air Museum building in September 2000. Jim is sitting with his girlfriend Gale. Kathy Noddin holds our 2 month old daughter, Allison.